We are a leading 100% Export Oriented Unit of black striped kurta pajama, mens kurta pajama, cotton embroidered white kurta pyjama, cotton man printed kurta pyjama, cotton red printed kurta & pyjama for man and cotton kurta pyjama from Jaipur, India. 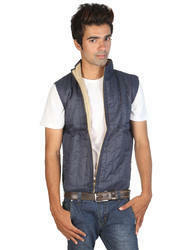 Upgrade your ethnic wardrobe by adding this colorful men Readymade garments from the house of Rajrang. Perfectly crafted with cotton and Hand work that will assure you comfort and style whenever you adorn this kurtas. 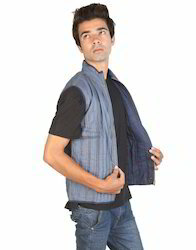 You can wear this kurta over Ethnic to look ravishing. Packaging Details: Packaging & Shipping The Order Gets Packed In The Safest Environment To Make It Even Safer During The Posting And Handling Time. The Products Are Wrapped Into Bubble Sheet And Thick Paper To Make It Safe From All The Natural Elements. We Use The Most Reputed And Safe Shipping Services I.E. Ups Shipping Services, To Get The Order Delivered At Your Door Step. The Ups Shipping Services Provides A Facility To Track The Order Through Their Website To Keep An Eye Over The Consignment. Upgrade your ethnic wardrobe by adding this colorful mens Wear from the house of Rajrang. 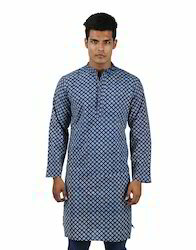 Perfectly crafted with cotton and Hand work that will assure you comfort and style whenever you adorn this men kurtas. 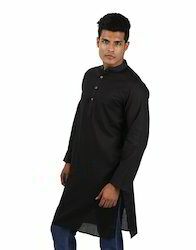 You can wear this kurta over Ethnic to look ravishing. Here we present Cool Wear Men's Casual Shirt. 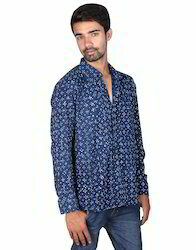 This Marvelous Cotton Shirt can be used as a Casual Wear Evening Wear also. Our designer Shirt can be put on with jeans trousers. Just buy this Cool Comfortable Men's Shirt. Machine quilted this cotton jacket in blue and grey is designed to keep you voguish and comfortable. Team It with your favorite denim and sneakers for a cool winter ensemble. 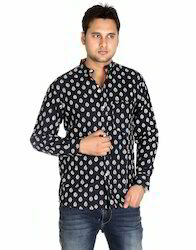 This one of its kind, meticulously Floral black Printed cotton Casual shirt will give you a uber cool look. The jaipuri prints make it a must have in your wardrobe. As for black printing, it was adopted by the printing communities and these intricate designs are printed on fabrics with various dyes. Machine quilted this cotton jackets in blue and grey is designed to keep you voguish and comfortable. Team It with your favorite denim and sneakers for a cool winter ensemble. Upgrade your ethnic wardrobe by adding this colorful kurta Pyjama from the house of Rajrang. Perfectly crafted with cotton and Printed work that will assure you comfort and style whenever you adorn this kurta. You can wear this kurta over Ethnic to look ravishing. Upgrade your ethnic wardrobe by adding this colorful mens wear from the house of Rajrang. Perfectly crafted with cotton and dobby work that will assure you comfort and style whenever you adorn this kurta. 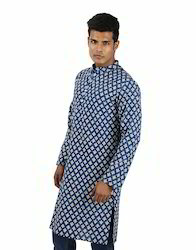 You can wear this kurta over Ethnic to look ravishing. Upgrade your ethnic wardrobe by adding this colorful mens Wear from the house of Rajrang. Perfectly crafted with cotton and Embroidered work that will assure you comfort and style whenever you adorn this kurta. You can wear this kurta over Ethnic to look ravishing. Upgrade your ethnic wardrobe by adding this colorful men kurtas from the house of Rajrang. Perfectly crafted with cotton and Hand work that will assure you comfort and style whenever you adorn this kurta. 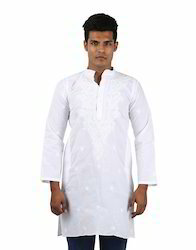 You can wear this Cotton kurtas over Ethnic to look ravishing.